Sharing our time and talent at such times is an expression of God walking with us and holding us ever close to his heart. But these moments cannot simply be for our comfort and consolation. The gifts we have been given must be shared. And that is at the heart of being good stewards. We are charged with the responsibility to care for creation, nurture love and hope in our families, strengthen our relationships through acts of forgiveness, reach out to people in their times of need, and working for peace. As we walk through life with this generosity, we become instruments of peace and blessing, gifts our world yearns for today. Now we are given the opportunity to express our stewardship here in our parish community. Working together, we support our parish’s efforts to educate our children in the ways of Jesus, be supportive of families facing the loss of a loved one, helping engaged couples prepare for marriage, providing opportunities for people of all ages to learn more about the Bible and our Catholic Tradition, offering guidance to individuals and families facing the challenges of daily life, and providing experiences of prayer and worship for our faith community and guests. This support is offered through the generous sharing of our time, talent, and treasure. We thank our many volunteers for their countless gifts of time and treasure. To continue to provide for the needs of our community, we need your help. Please fill out the online form below. It is important that we hear from everyone! Just as God’s generosity extends to all, we need everyone in our parish to respond with generosity to our faith community. Please contact the parish office if you have any questions. 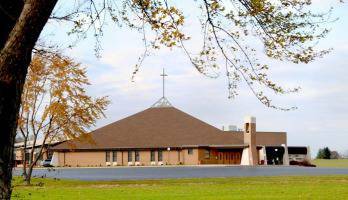 Thank you so much for your generous support to our parish and its ministries and for your involvement in the many areas of our parish life. May our Lord continue to bless you with an abundance of gifts! 2. 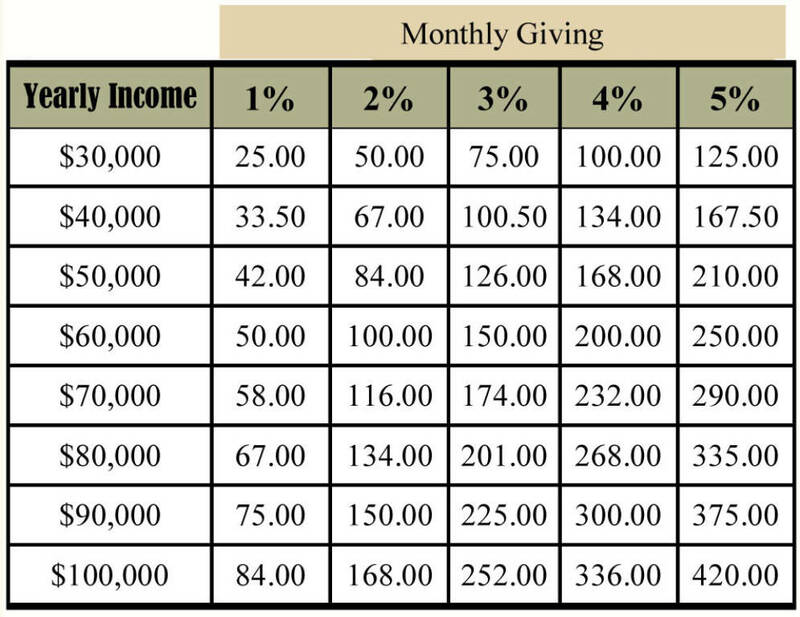 Using table below, decide on your total giving. 3. Determine the amount you want to give. I/we want to help our parish grow in its mission and service the Lord.